It’s always nice to have a warm fuzzy feeling when receiving birthday greetings from family and friends, even strangers from near and far. 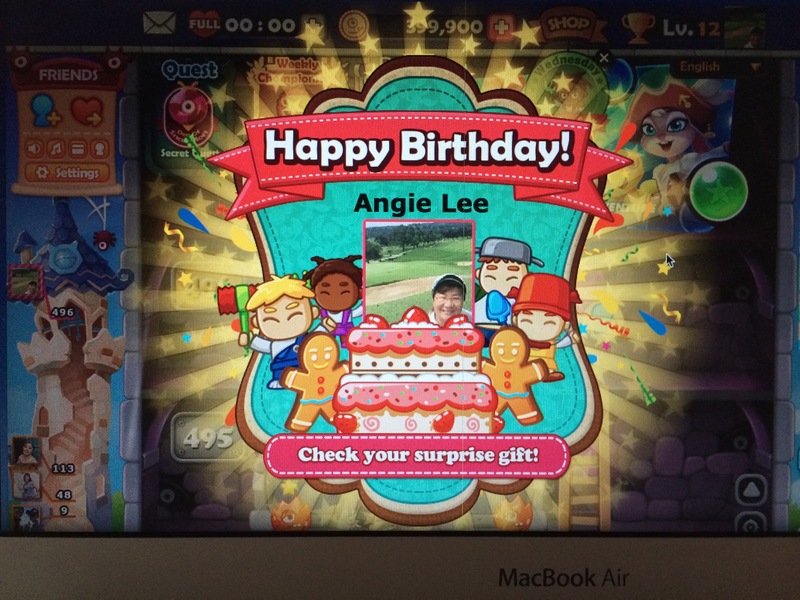 The first few birthday wishes came from the games I play (no, it’s not from the Candy Crush team but rather Monster Busters), strangers in other words. But I thought it was sweet and thoughtful. Gifted with a week’s worth of free play and 10,000 play coins, I think these game developers are very connected to their loyal gamers. Thank you. And of course on the actual day, phone calls, emails, wishes on Facebook, WhatsApp and SMS/Messenger came from friends, family members as well as my bank, my credit cards, my loyalty program cards and even the local area politician, strangers in other words! The world has become smaller—from the US, Bermuda and London to Hong Kong and Kuala Lumpur—with the use of social media and technology to connect us on a daily basis and on special occasions. I’d like to thank everyone for your thoughtfulness and well wishes. Made the day more meaningful. To a better year ahead!